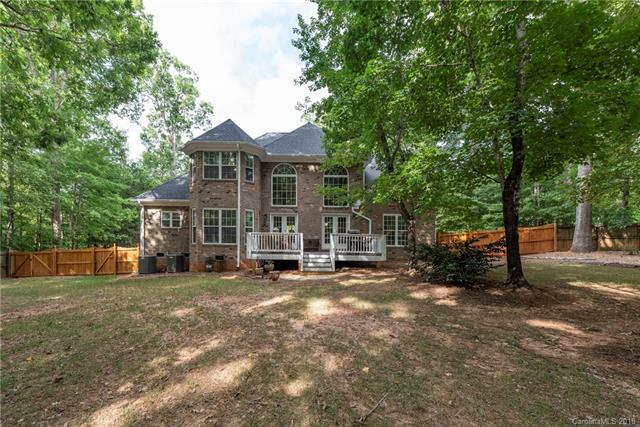 Brantley Oaks is the best-kept secret in Mineral Springs & nearby Waxhaw! This beautiful full brick home is surrounded by plush, mature treeswith a fenced yard ready for your fur friends! An elegant wrought iron & wooden tread stairway greets you within the 2 story foyer. This floor plan boasts the perfect layout for entertaining, living spaces are separated w/ elegant columns & archways. The modern kitchen is open to the family room. Dual French doors lead from great room to deck overlooking private, treed, fenced yard. The master suite on main is spacious, luxurious bath w/ separate dual vanities, granite & tile, walk-in closet, large walk-in shower & garden tub. On the upper level is space for a large home office overlooking the wooded backyard, three guest rooms, a large bath with dual vanities & several walk-in attic areas. This home is only 1 year old. Don't miss out on the best-priced home in Brantley Oaks! Sold by Don Anthony Realty, Llc.